Der ideale Aufbewahrungsort für deine Lieblingssnacks. You know that feeling when you have been sitting at your desk for a long time - the well-known afternoon low. Nothing raises your spirits better at that moment than dipping in to a bag of tasty snacks. 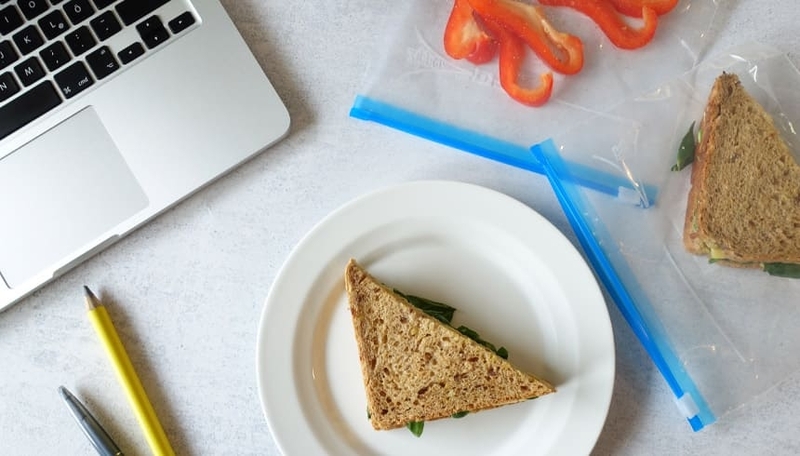 Our Zipper® all-purpose bag is the ideal place to store your sandwiches, vegetable sticks and favourite fruits. And it has another advantage when it comes to snacks. 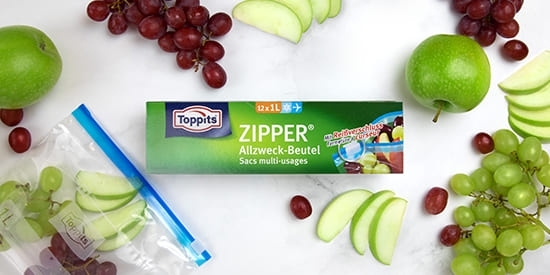 Simply pull the bag open, reach in and enjoy - the Toppits® Zipper® all-purpose bag not only keeps everything fresh, but with its practical closure is also easy to open and reseal . All you have to do is prepare your favourite snacks at home and pack them in Zipper® all-purpose bags. And thanks to its standing base, you can even nibble your treats straight out of the bag. Because when it comes to snacking, there's no time to waste. How to keep things organised on the go with a Zipper® all-purpose bag. How to keep creams from leaking out using cling film.